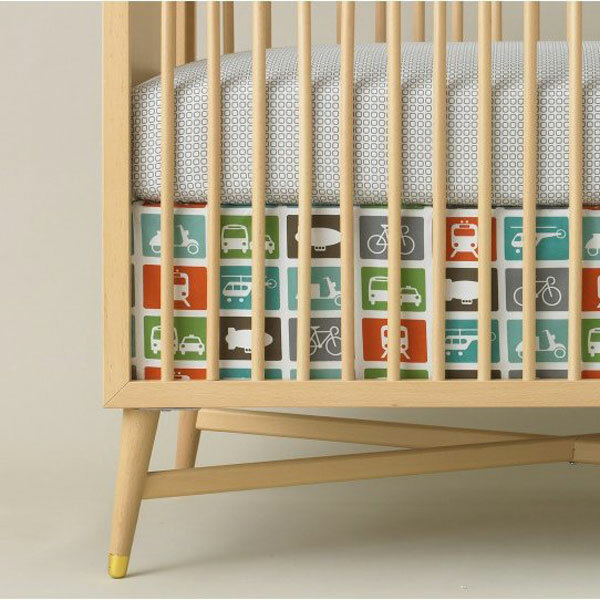 Here’s a fabulous final touch to add to your nursery! There’s plenty of fantastic cot linen around but when you take into all the things that aren’t recommended to be in the cot in those early days, well you’re sometimes only left with a fitted sheet in that beautiful cot. 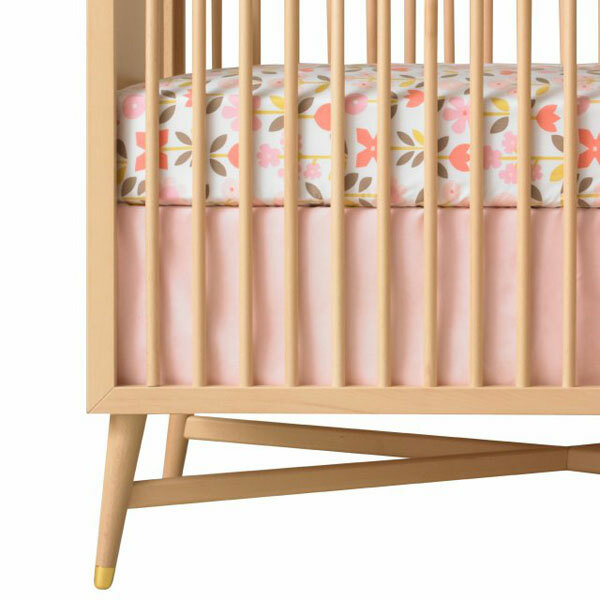 With safety in mind, I love that DwellStudio have recently launched a cot skirt. It’s as easy as slipping under the mattress and it instantly adds a bit of a fancy touch to your baby’s nest while not posing any risk inside their sleeping area. DwellStudio cot skirts are available in many of their stunning signature prints – transportation, vintage blossom, woodland tumble, zinnia rose, owls sky, rosette blossom and skyline. If you’re not sure of your linen just yet, DwellStudio also have solid coloured skirts in blue, grey, moss and pink. All prints and colours are designed to mix and match with their current linen range. The cot skirt measures 71cmx132cm and is thirty centimetres deep, so be sure to check your cot base before ordering! DwellStudio Cot Skirt is priced $99 and is available from The Baby Closet.